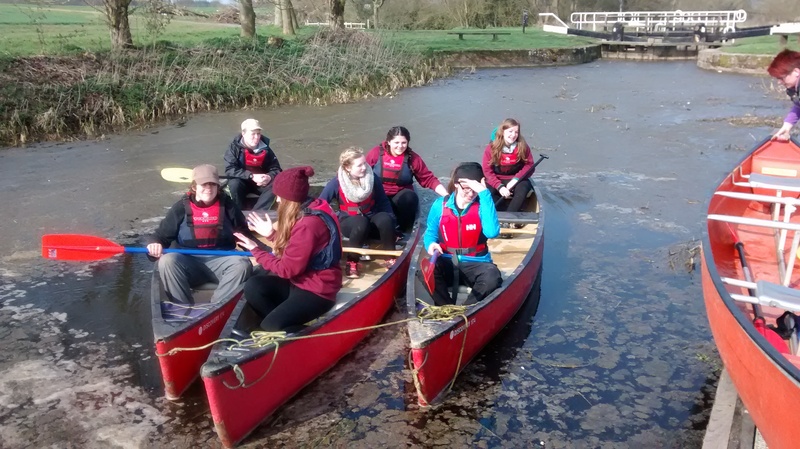 The first day saw students arriving at the well-appointed Allerthorpe Lakeland Park for an intense day of paddlesport coaching, provided by Mr Mann and Allerthorpe staff. Students were coached in both closed cockpit kayaks and open canoes, as the skills for these craft are intrinsically linked and by doing so, allowed more opportunities for bi-lateral practice in both craft. At the end of this day students could paddle the boats forward, backwards, sideways and for many of the group, upside down! 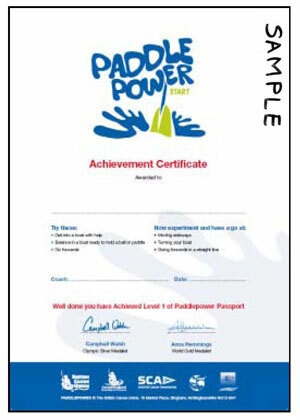 Recognising this great achievement, all students gained the Paddle Power Start paddling award. Once dry, the group were then given a selection of random ingredients, which they had to turn into a hot, nutritional meal. Our particular favourite was curried sausage… nice. The evening finished with an energetic and competitive orienteering session around the site. The next day was an early start. The trailer was quickly loaded and we left Allerthorpe for the Pocklington Canal. For the rest of the day, students had two sessions. The first session was a navigation session, provided by Dave Gwillam at http://www.onedegreewest.net/ . 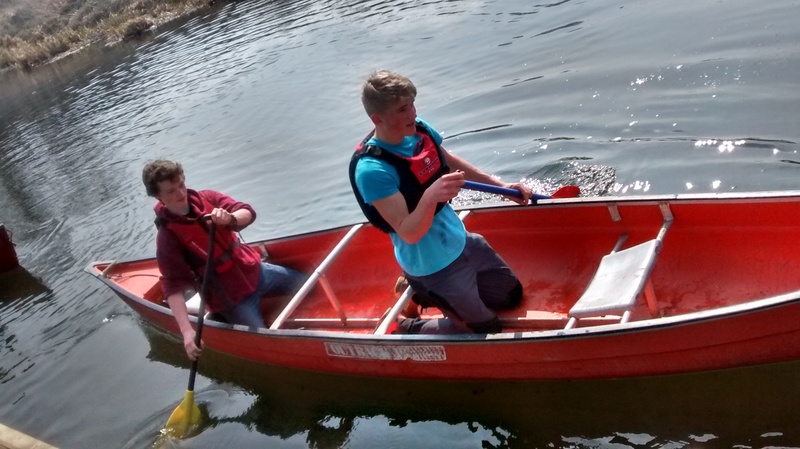 This session focussed specifically on the skills required to map read on a river or a canal. 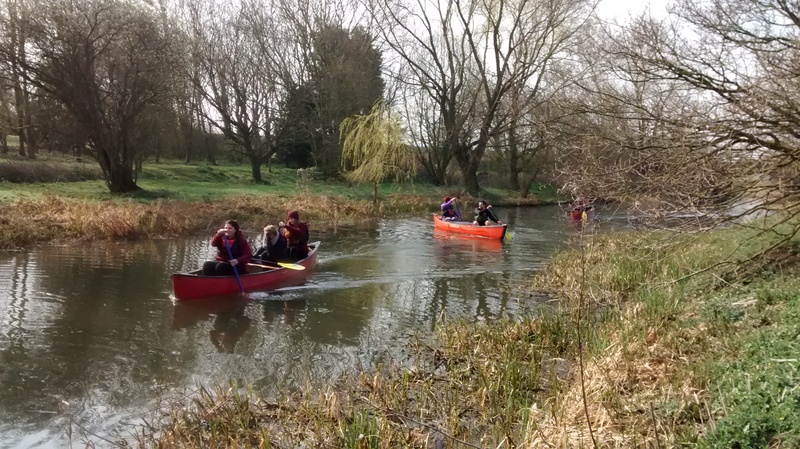 The second session allowed the students to put their skills into practice and complete a canoe trip on the beautiful and often under-paddled Pocklington Canal. Thanks to Miss Mark, Miss Heyes, Mr Silburn and Mr Gwillam for giving freely of their time this Easter holidays and making the trip a great success. Lots more practice to do, but we are very excited about our summer expedition!